Causes, prevention and treatment for Bowed Legs. Bowed legs are a condition where the child’s legs are bowed outwards in the standing position. Bowed Legs are when the ankles are placed together the knees are greater than 2.5cms apart. This condition is medically know as Genu Varum. Bowed legs are commonly seen in infants, and should generally straighten around the age of 2. If this misalignment continues into adolescence it can lead to poor foot mechanics and lower leg problems. Deformities in the legs, or leg lengths differences (LLD). Higher risk of arthritis in hips, knees and ankles. Bone Disease (Rickets or Blount’s disease and typically only affects one leg). Normal growth development up until 2 years of age. Fractures that do not heal properly. Normal bowing generally corrects itself without bracing or special shoes and only requires monitoring. Rickets disease is treated with vitamin D and calcium increase in diet, some forms of Rickets diseases are inherited and will need to be referred to an endocrinologist for treatment. Blount’s disease is of unknown cause but affects the tibia bone of the lower leg, children may need bracing or surgery between 3-4 years old. Orthotics and/or braces accompanied with supportive footwear to treat the flat feet that can be a compensation for bowlegs. 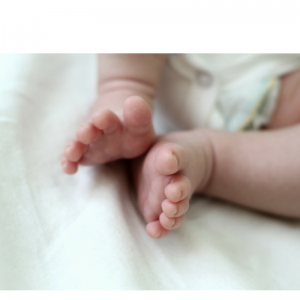 Well Heeled Podiatry is trained and experienced in assessing the development and normal age for stage milestones of your child’s growth. We can assist in reducing the discomfort and dysfunction of your child’s lower limbs and help devise an appropriate treatment plan if intervention is necessary. Otherwise careful monitoring, education and advice will be offered to put your mind at ease as a concerned parent if treatment is not required.